If you are dealing with clients suffering a downturn in business trade, it is vital appropriate action is taken at the earliest possible opportunity as insolvency can quickly become a real possibility if steps are not taken to address the issue. Insolvency is a highly specialised area and it is not likely to be something you encounter on a daily basis. 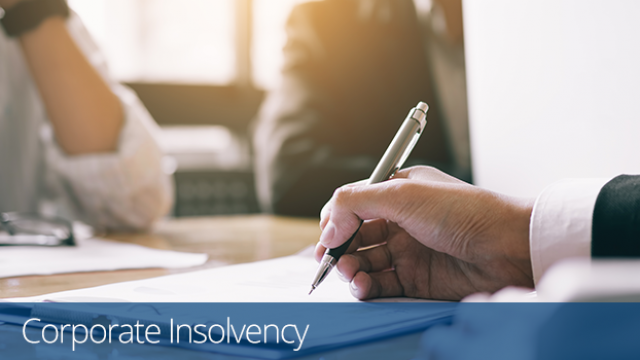 Having a trusted insolvency practitioner you can turn to for advice at this time is vital in order to provide the best level of service possible to your insolvent clients. Handpicked Accountants is part of Begbies Traynor Group, the UK’s number one in corporate rescue and recovery. With over 50 offices up and down the country, staffed with over 70 licensed insolvency practitioners we are perfectly placed to help your clients navigate these difficult times no matter where in the country you are based. By working together we can complement and broaden your service offering. We are no threat to your practice as we do not have auditing or accounting facilities; instead we can work alongside you to help provide a broader range of assistance to your insolvent clients. Insolvency does not necessarily mean the end to a business. There are a range of business rescue and recovery options available depending on the source of the problems. Referring your clients at the earliest signs of insolvency means the likelihood of a positive outcome is greatly increased. From negotiating a Time to Pay (TTP) arrangement to clear HMRC arrears, restructuring existing liabilities by entering into a Company Voluntary Arrangement (CVA), or even considering the possibility of pre-pack administration, are all tools which can be implemented to get an insolvent company back on its feet and allow trade to continue. Not only does this outcome help save a business and preserve jobs, it also helps you retain a client you may otherwise stand to lose should their financial problems take it beyond the point of rescue. If you would like to know more about how Handpicked Accountants can assist you when dealing with insolvent clients, call our dedicated team today.